And I Quote Invitations > Your Event > Party Invitations in a Snap using our NEW online ordering Tool! Need Invitations Quick? Now you can go shop, design, view and order using our new awesome this design tool! Any occasion from save the dates, engagement party or announcements, sweet 16, bridal or baby shower, birthday, anniversary, we have you covered! 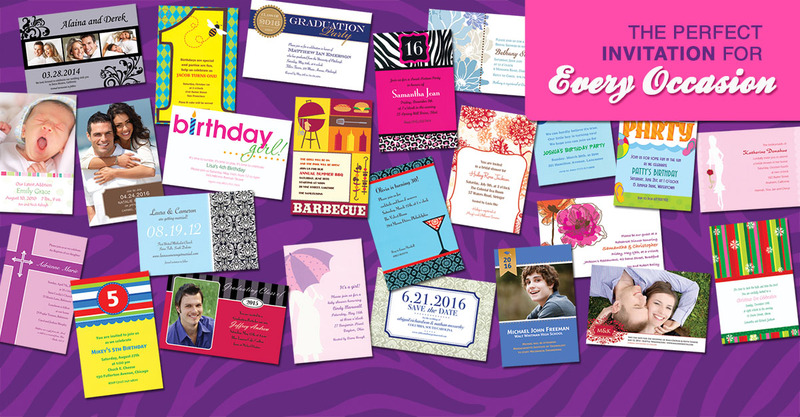 Tons of different themes, patterns and colors, and you can customize the colors, fonts and wording to suit your own special occasion. Every design is completely customizable and has a variety of coordinating accessories like placecards, thank you notes, menu’s, favor tags, stickers and more! The best part of it is there are NO minimums and most orders will be ready within 2-3 days or sooner!